Chuck practiced for over 40 years before retiring in December of 2018. His emphasis was on real estate and business matters, and personal injury cases. He is an Eagle member of the Washington State Association for Justice. 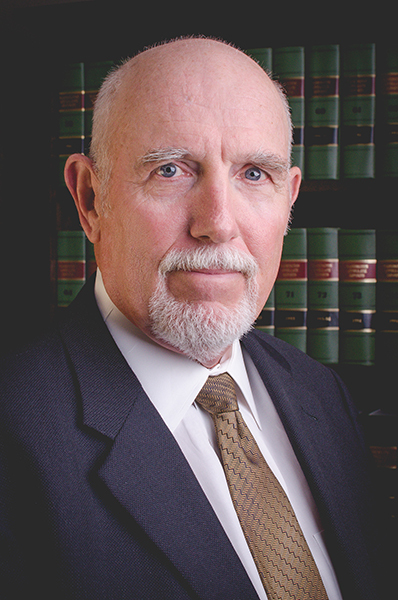 In 1983 he served as president of the Lewis County Bar Association; and he has served on the Rules of Professional Conduct Committee, the Disciplinary Committee, and the Judicial Recommendation Committee of the Washington State Bar Association. Chuck was appointed by the Supreme Court in 1999 to serve on the board of the Limited Practice Officers Board, and was the chair from 2003 through 2006. He served on the Community Advisory Board of the Providence Centralia Hospital for 12 years (1990-1999, and 2001-2003) and was chairman of the Advisory Board for two years (1998 and 1999). He is a past president and an active Rotarian; and was a board member and twice president of Centralia High School Dollars for Scholars. A husband for 40 years, he is father of three children, a grandfather, and an avid golfer.